Whatever some may think about the London 2012 Olympics, it is bringing a lot art and life to the city making it not only the sport capital of the world but very much a cultural hub right now. We have started to enjoy the many exhibitions and pop up art shows part of the London 2012 festival that is running along the Olympics and actually right into September. We made our first stop at Art Drive and we so glad we did. 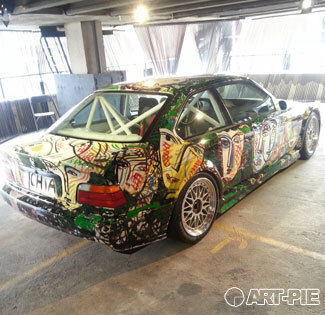 The NCP Car Park, 35 Great Eastern Street, Shoreditch, London EC2A 3ER which I ignored so many times as I walked past, is now cocooning the BMW Art Car Collection. 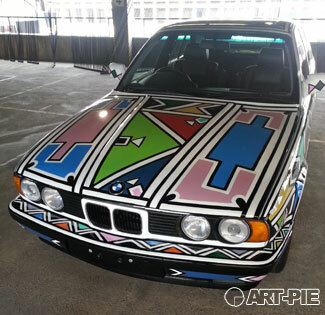 17 cars turned into pieces of art. I will never see again that car park with the same eyes. 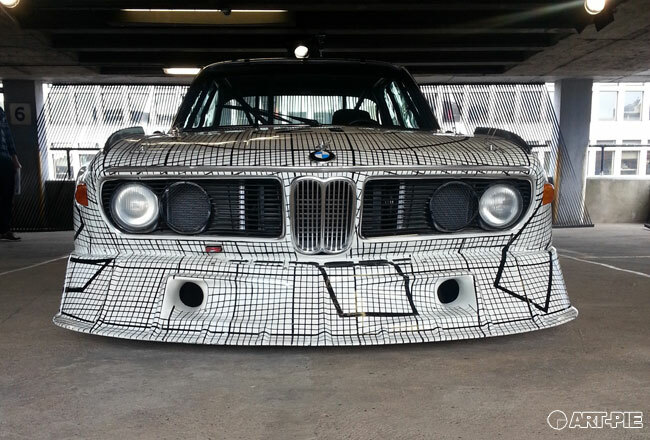 You have to go back in 1975 to see the first ever BMW Art Car burning some rubber at the famous Le Mans 24-hour race. 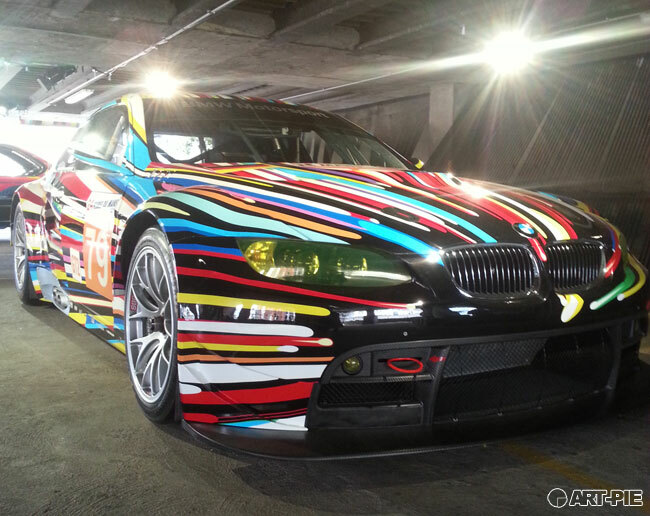 From there 16 other Art cars followed which all competed in this very race until the current and last one ever painted – The Jeff Koons one, see below for pictures. Some of the artists who got involved in this 35-year long project are Andy Warhol, Alexander Calder, Cesar Manrique or Frank Stella. 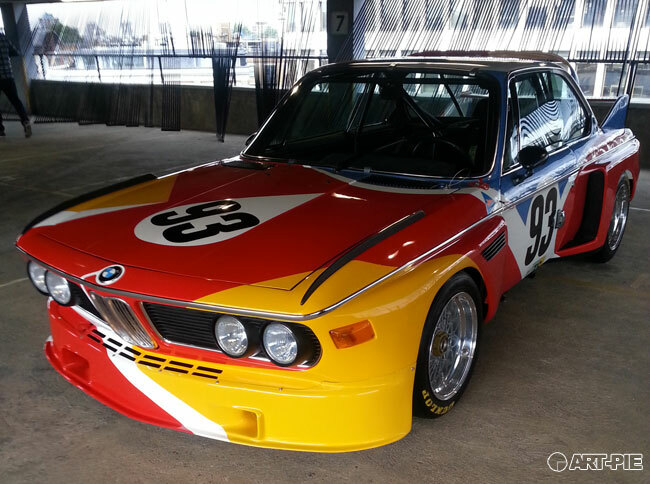 But enough about the history, let’s go and see the cars! The settings for this show are completely surreal: the car wash team, based outside of the car park was at it while I was greeted with a big smile by the the Art Drive team and quickly ushered inside the car park and rapidly wafted in a huge lift that can most definitely contain a couple of cars but above all that made me feel right into some sort of action or sci-fi movies like Alien. I was excited now. The girofar then went off, a strident sound soon followed that smashed the relative silence that had settled during my journey up to the unknown. 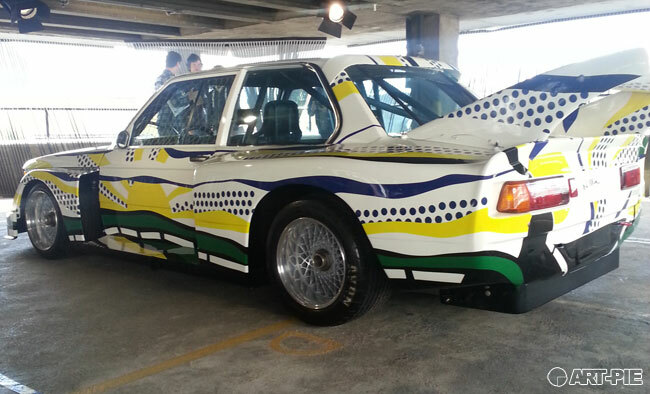 The door slid open: I had reached the 8th floor and was about to see my first Art Car. 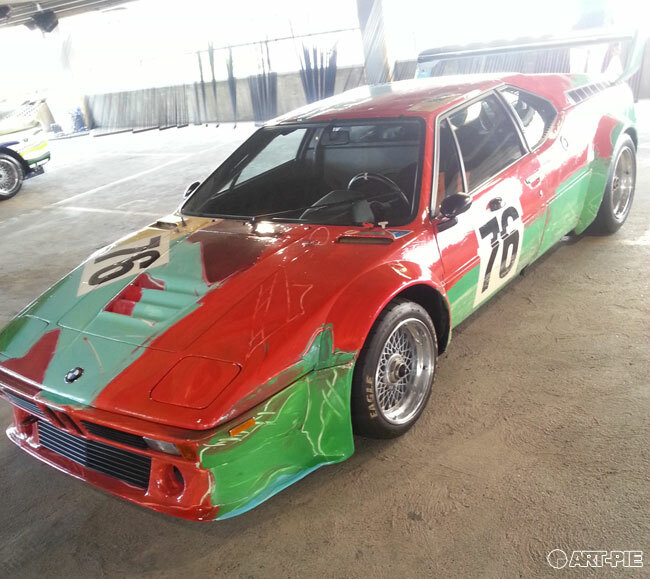 A bit of trivia for you – the BMW Art Car M1 by Andy Warhol was the most successful car on the circuit de la Sarthe, it took sixth place overall in 1979.